We have seen a lot of great tech from NVIDIA right ? 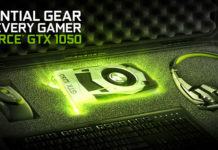 Specially in the Grapics department, NVIDIA GPUs are kinda everywhere. 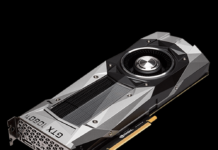 There are Geforce & Titan GPUs for gaming & you’ve probably also heard about Quadro GPUs made for Graphics Professionals. But, have you heard about NVIDIA Tesla GPUs ? Well, Tesla GPUs are the highest level of GPUs that NVIDIA currently makes. These GPUs are targeted towards the High-end Workstations & they’re super powerful as you would expect. But, looks like NVIDIA has no intention of stopping there. Maybe that’s why they made a Super Powerful Workstation that can literally sit under your desk & packs four of these GPUs inside. 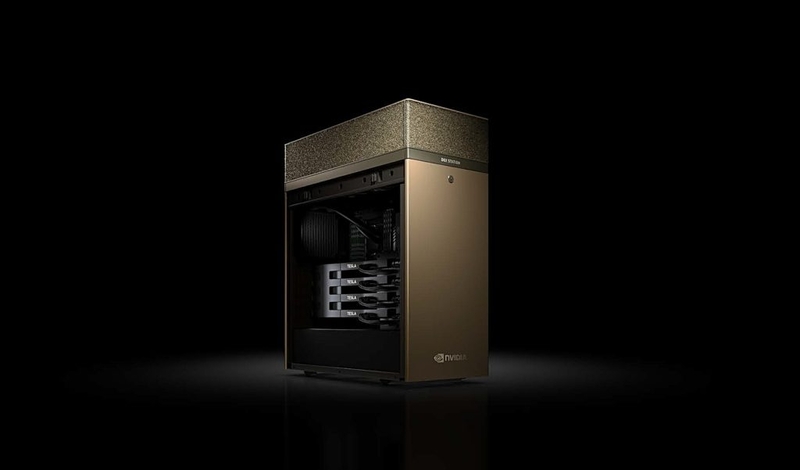 NVIDIA is calling this Personal Supercomputer as the DGX Station. 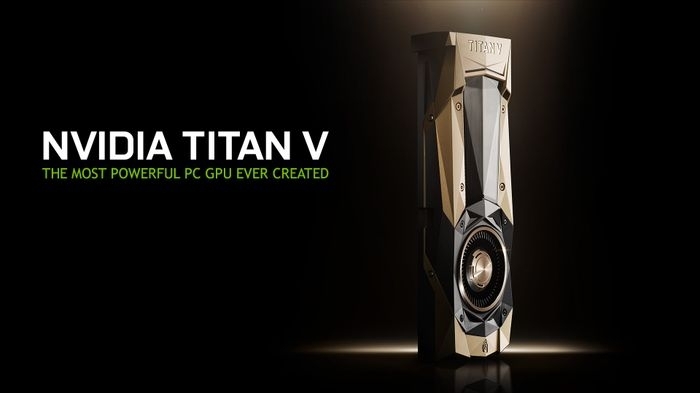 It is built on NVIDIA’s Project Volta approach and NVIDIA has literally packed a lot of power into it & they have crafted the whole package into a form factor that is similar in size to maybe your high-end gaming PC. Now, as I’ve already told you that it’s a Supercomputer. So, this is not made for your 4K 60 FPS gaming. This is actually made for AI development. 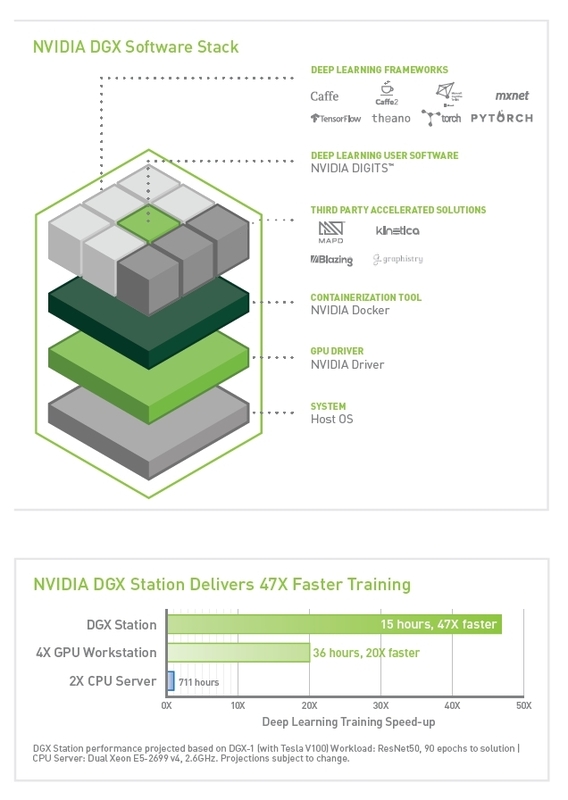 So, if you’re into AI development, you may get benefited from the DGX Station. It actually packs a lot of AI technologies in the software. So, NVIDIA claims 47 times faster Deep Learning Training performance compared to a Dual CPU workstations. So, that’s kinda impressive. Also, NVIDIA claims less than 35 Db of Noise Levels in this super powerful system. But, it’s not cheap… it’s definitely not cheap. The DGX station costs around 69000 US Dollars. So, at that price point it’s definitely not for everyone. If someone want’s that power to develop AI content in their home & have the money to spare, the DGX station seems to be a great option.